Before listing the three reasons why being yourself can boost your business, I have to briefly explain what I mean by “being yourself.” It is seemingly self-explanatory, but what I have found in myself and in the work with my clients is that there are aspects of being human that we tend to disregard when it comes to the professional arena. Feelings, for instance. You should not feel angry about an email complaint or an annying client, right? Our emotions are crucial to our ability to make decisions, so knowing what to do with emotions that are commonly termed “negative” is actually an asset you can learn to use in your favor. Especially if you are a solopreneur or freelancer you are your business. And beyond business knowledge, practical tactics and strategies, your thinking and actions will account for a huge part of your professional success. Being yourself means being in a state of confidence. When you feel confident you don’t need to hold on to old beliefs. Instead of being busy with yourself, you have free brain capacity to dare and think fresh, come up with new ideas. You don’t feel you need to do the same things as everyone else. It opens up the possibility for you to turn your business into something unique. Just as you are. Being yourself you feel what matters to you. You are able to identify relevant steps that you need to take and choose what will take you to the next level. It’s easy to determine what points on your daily to-do list are just gap fillers that keep you busy but don’t make you successful and what brings the results you wish for. You do what counts – for yourself and for your clients. Being yourself also means being in a state of emotional awareness. Emotions are a body’s way of relating to the outside world, be it a potential client, business partner, event or project. Being fully present and with all your faculties at your fingertips, you can navigate with ease through the challenges of a hectic work day. 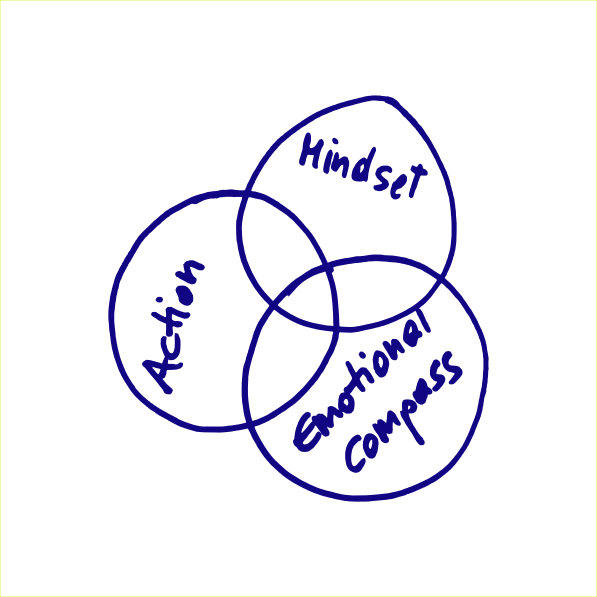 Your mindset, actions and your emotional compass are three crucial elements that you can consciously influence once you are aware of how you tick by default. You can choose to pay attention to the areas where you are currently not using your full potential. You can (re)gain energy and focus. If you have chosen to have a business, you have something to give. You have a vision. I believe that if you dare to be more yourself, you can achieve more with less effort (of trying to be…) and contribute more to the change the world needs and that you would like to see in the world. I have developed a workshop called the Body-Business Connection that addresses all of these subjects and introduces a simple, easy-to-follow system how you can create change in these areas and have a new experience of yourself and where you want to take your business. Yes, I want to learn more about the Body-Business Connection!